It has been a terrible, horrible, no good, very bad day... actually the second in a row. At least I managed to take a picture I'm ok with. For the flashofred February. Oh dear, hope your day is better tomorrow. This is a stunning image. HAS to be viewed on black. Fabulous Mona! I hope your day brightens as it goes on! Beautiful shot.. a better day tomorrow..
A great shot. Hope tomorrow gets better! Beautiful pic, sorry about the day, sleep and lets hope tomorrow is better. Fantastic. Beautifully lit and looks awesome on black. Very, very cool. I love it! So beautifully exposed. Fabulous shot! Hopefully tomorrow will be better - hugs!! Elegant shot, very minimalist. Beautiful! Brilliant! Your bad day turned out wonderful. The light and the steam are well captured. Super shot! I loves the light on the steam! Awwww this is amazing on black............and so are you! A good night's sleep will make tomorrow look brighter! Hope your days improve -- certainly great image for the day. Fantastic shot. Love the light and the darkness. I'm sorry you're having a horrible day. This is an absolutely stunning shot! 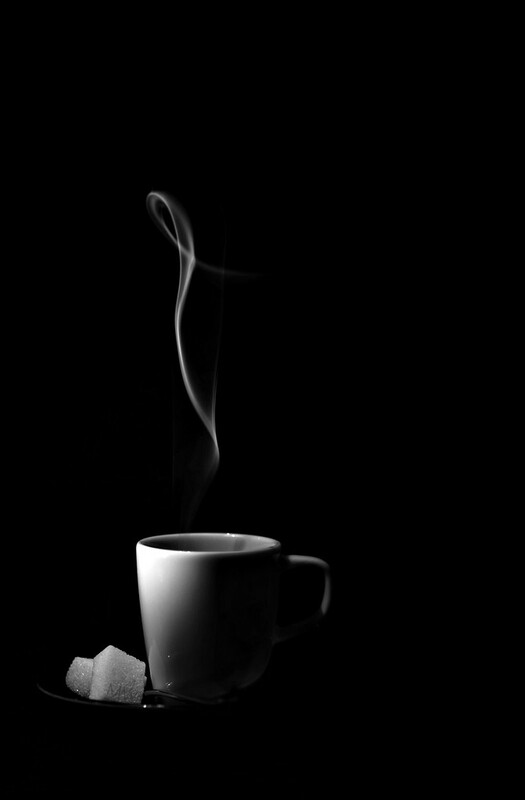 How did you manage to capture the steam coming out of the cup? Nice shot. Hope tomorrow gets better! A brilliant image - should have lifted your spirits a bit! See, every cloud has a silver lining! Nicely done indeed... I hope your days improve. there is grace to be found in simple things. nice pic Mona. Sorry you had a bad day. Love the photo. That steam is amazing. Great photo. I admire your talent for making such creative shots. Hoping much better days to follow for you! Here's hoping for a better day tomorrow. Very expressive shot. Sorry to read of your very very bad day. My hope is tomorrow (Friday) will be a good day as it starts your weekend. How is this even possible? Unreal! This is just fabulous! I'm so sorry about your two very bad days. I hope today is much better! Sorry you had two bad days, but look what it brought an image on TT congratulations! I saw this on the TT and was very impressed. Congratulations. Very well deserved.